Single-family rentals tend to be small scale properties that house, you guessed it, a single family. This means they are usually houses, other halfs of duplexes, lofts, basement apartments, and other such things. At Rhino Property Management, we help property owners get the most value out of their properties in a variety of ways. Learn more, below! Handles maintenance and tenant request, whether random, seasonal, or preventative. Fills rental units, quickly, thus negating lost revenue. Creates budgets and breakdowns of operating costs so you can see what you’re spending money on. Collects rent and sets rent at a rate that is appropriate of the current rental market. Clears up general headaches of property management, thus buying you peace of mind. 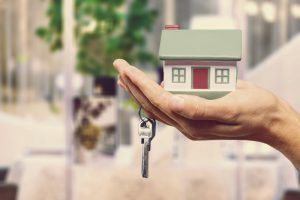 At Rhino Property Management, we can help you manage your rental for exceptionally low costs, especially compared to the rest of the Utah market. Check out our package pricing, here. Call Rhino to Learn More! If you or someone you know is in the market for single family property rentals, then understand that it’s never good to go at it alone. Save yourself from time, money, and headaches by calling a professional property manager. If you have any questions, please don’t hesitate to call Rhino Property Management, today!